Make a world of difference for the waterways and wildlife you love by volunteering with the North Carolina Aquarium at Pine Knoll Shores. 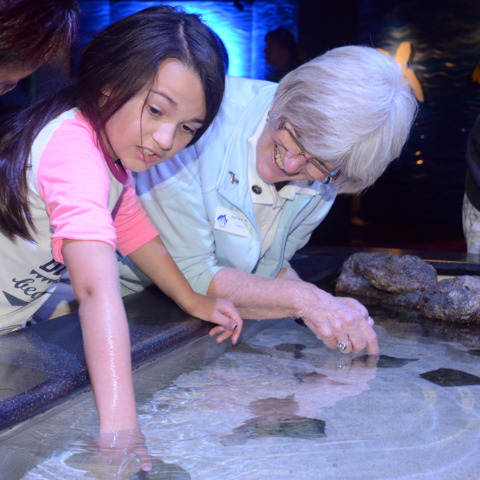 Volunteering at the Aquarium offers hands-on, feet-wet learning experiences, along with fun social opportunities. Help visitors explore the wonders of North Carolina’s waterways. Give children unforgettable experiences at Aquarium touch tanks or by diving into the the Living Shipwreck. Participate in special events and activities year-round, and play a direct role in coastal conservation. Volunteers assist in a variety of areas, from visitor education and exhibit interpretation to special events. 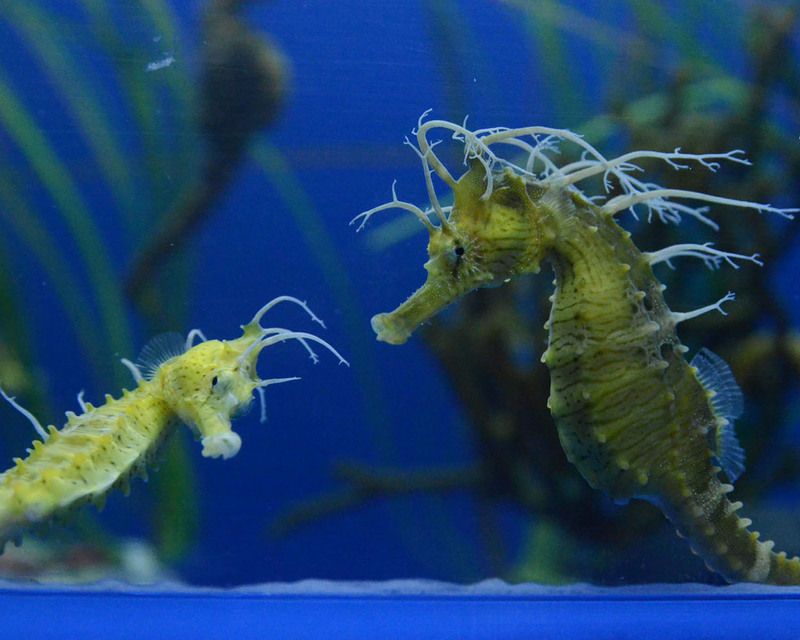 They play key roles in the daily operation of the Aquarium and in its conservation efforts. As exhibit interpreters, they provide personalized, informal interpretation of the Aquarium’s aquatic life and habitats. No prior experience is necessary, and anyone with an interest in North Carolina’s habitats and animals is encouraged to apply. Volunteers receive training in environmental education and animal handling. Flexible schedules are available. Additional benefits include free Aquarium admission, discounts at the Aquarium Gift Shop and on Special Activities. Positions for volunteers ages 18 and older include the following: Information Desk Assistant, Touch Tank Interpreter, Discovery Cart and Gallery Interpreter, Classroom Assistant. To volunteer as an Aquarium Diver you must be 18 years or older. contact Volunteer Coordinator Aly Mack at 252-247-4003 x286.